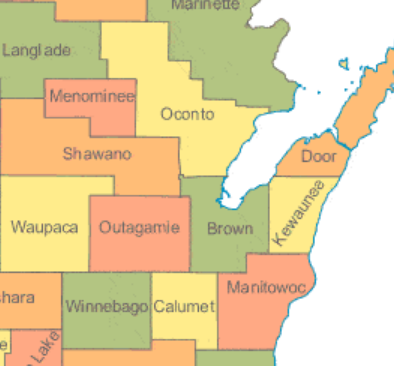 We service all of Brown county and most of the following counties:, Oconto, Shawano, Outagamie, Winnebago, Calumet, and Kewaunee. We service over 80 cities and towns in our area. See the above map for all the specific communities we serve.